People do not always shop at sites like MyStylishHair.com just to add length to their hair. 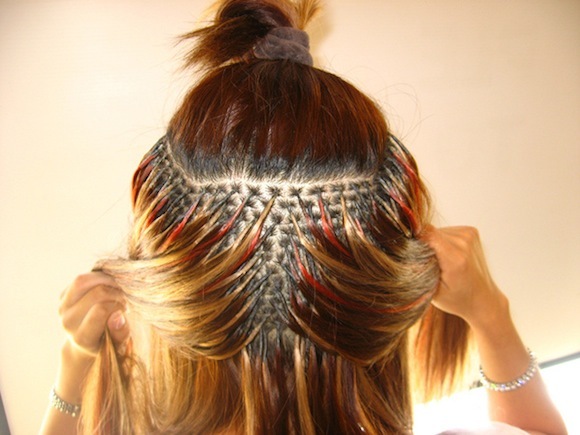 Many are seeking hair extensions and other products for many alternate reasons. Although this kind of hair treatment has become commonplace for women from next door to Hollywood, the motivations are deeply varied. Some women seek more fullness than length for their current hairstyles. Those who have recently received perms, coloring or other chemical-based hair processes that have left their hair thin and less manageable often want to fill in the gaps. They may opt to wear extensions until they have some new growth. Others lose hair for reasons they did not choose. They could have medical conditions like alopecia, genetic balding or simply experience extreme thinning due to chronic medications, aging or environmental factors. Fuller looking hair gives them more confidence and helps them feel more beautiful. For other women, the art of choosing extensions and other hair accessories is deeply connected to convenience. They lead busy lifestyles and cannot seem to make the time to keep their hair neat and styled. Career women and full-time moms with multiple preschool-age children often fall into this category. They do not want to always show how fatigued they are or reveal how little time they have for personal grooming, so extensions are a viable hair solution. No matter what reason women choose to add extensions to their hair, it is a hair styling trend that shows no sign of fading. Every woman wants her hair to look its best. Extensions are a low-maintenance way to ensuring that happens regularly.